This week's Vincent Award goes to Sgt. Trey Troney who was driving along the interstate in Texas on his way to visit family for Christmas when we witnessed a car accident. He pulled over and went to that car that had just crashed and found the dirver of the vehicle unresponsive and slumped over the steering wheel. After two other motorists helped to pry open the doo, Trey used his New Orleans Saints hoodie to stop the driver's head from bleeding but then noticed that the driver's left lung was not expanding and contracting. The driver had a collapsed lung. Trey found a ballpoint pen and used it to puncture the driver's left lung and releive the pressure. Paramedics arrived and took the driver to a hospital where he is expected to make a full recovery. We hear about a lot of angry and not so nice people out there and we see them all the time out driving on the roads. But deep down we all also know that there are just as many (in fact many, many more) kind-hearted souls out there on the road with us as well. Sgt. 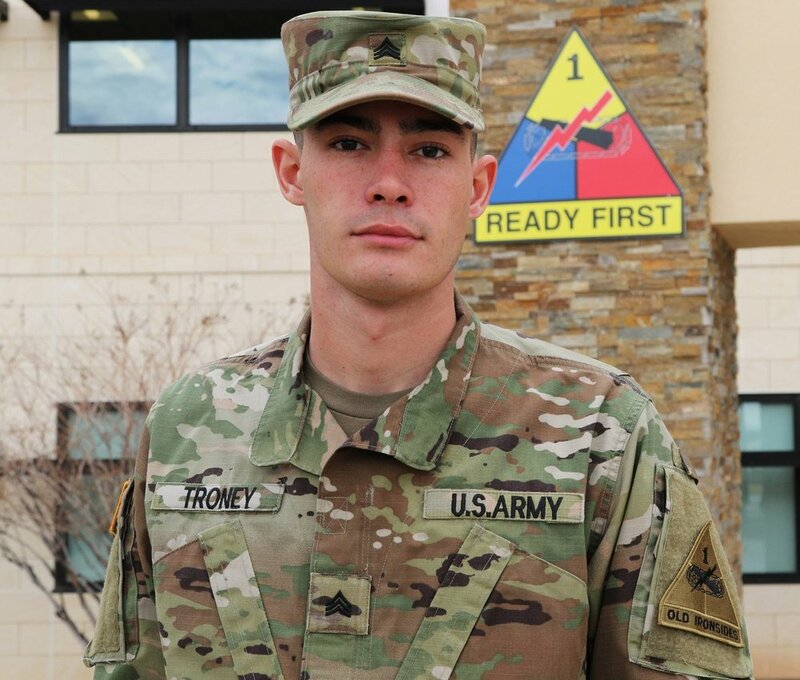 Trey Troney is a reminder that kind strangers are out there ready to help when needed. Thank you Trey.